I originally shared this recipe on April 13, 2012. I have updated the images and some of the text today. Friends, grass-fed beef is where it’s at! Beef can be a part of a nutritious diet. It is high in protein, B vitamins, iron and potassium. 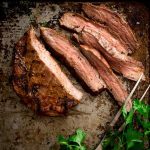 Considering we should be eating less than 17 ounces of red meat a week, don’t you want it to be the best beef that it can be? Yes, of course! The grazing of grass-fed cows adds carbon and nutrients to the soil so that it can grow healthier crops. This type of grazing also increases the water permeability, so that less water is wasted. This all means that grass-fed beef is better for you and the planet. It’s a win-win!! One of the best things about this recipe is its simplicity. Just salt and rest the beef. Then sprinkle with the cajun seasoning and grill. That’s all you have to do to get all of this deliciousness! I learned the salting trick from Sara Moulton at the IACP conference in New York City. You take a regular raw steak out of the fridge, sprinkle salt on it. Return it to the fridge for an hour or two. Take it out, pat it dry with paper towels, and then cook it. Salting the beef 1-2 hours before cooking allows the salt to draw out a bit of moisture from the meat creating a brine. This brine then soaks back into the beef which helps to tenderize and flavor the meat. Cool trick, right?! Cajun seasoning helps to keep this recipe quick and easy. Most Cajun blends contain a combination of garlic and onion powder, paprika, pepper, dried thyme and oregano and a little cayenne or red pepper flakes for kick. 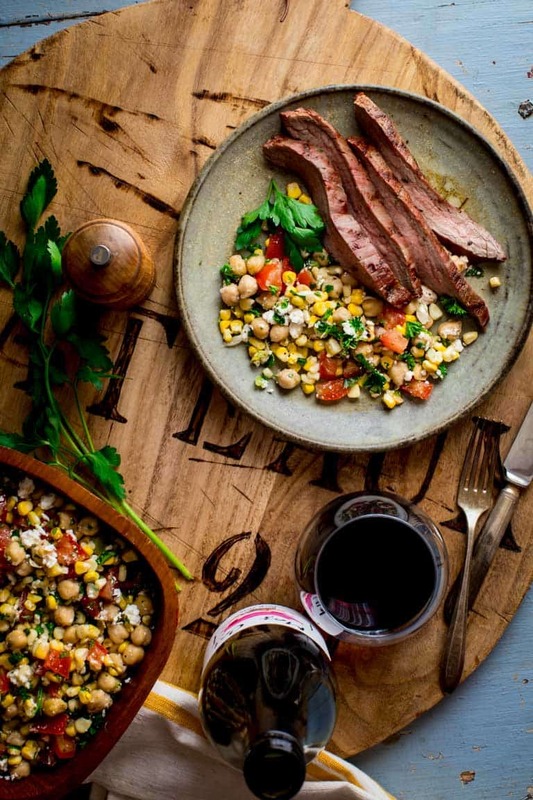 Basically everything that is awesome on beef and helps to balance the strong meaty flavors. 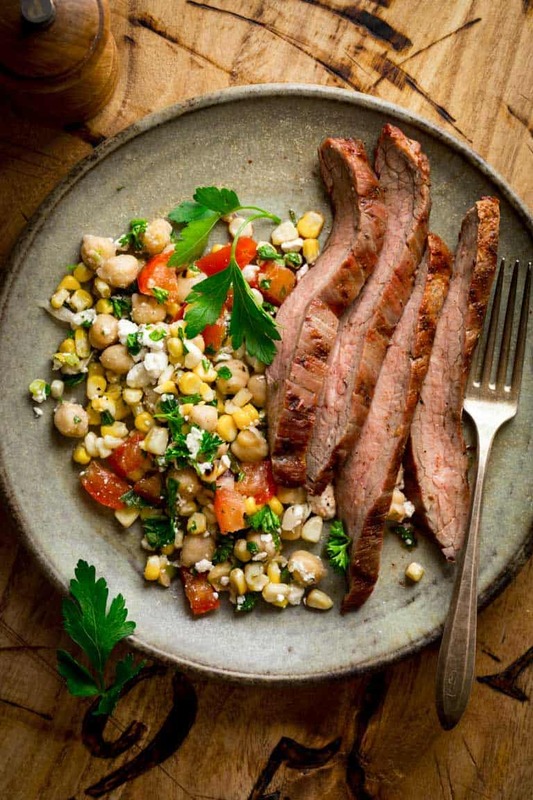 With just 3 ingredients this Cajun Flank Steak needs to be on your summer grilling menu! 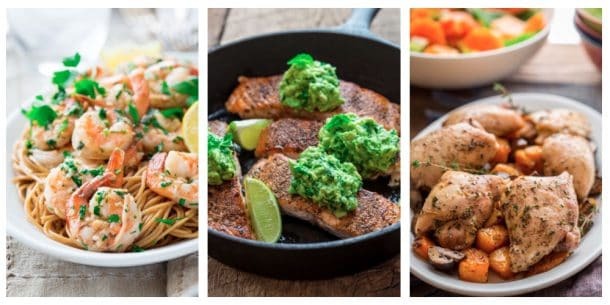 The incredible flavor from this super simple recipe will blow your mind! AND it’s gluten free, low carb and paleo! 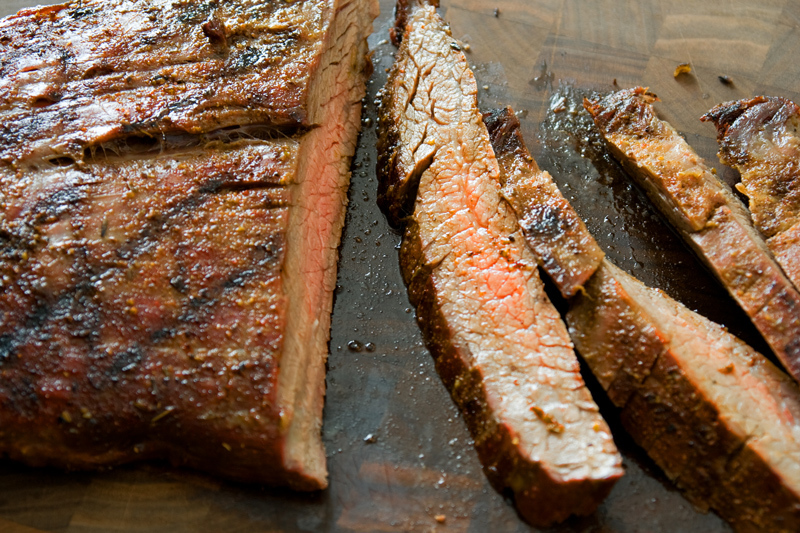 Pat flank steak dry with paper towels. Sprinkle salt over both sides of the steak. 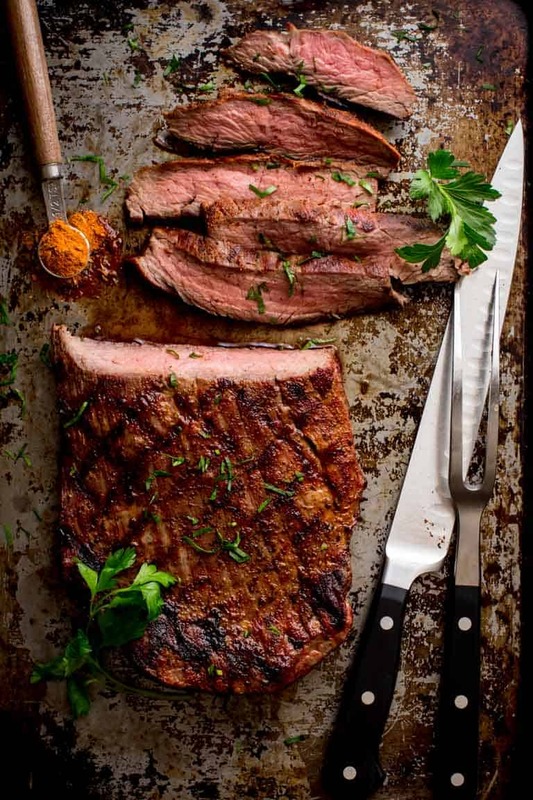 Lay steak on a baking sheet and refrigerate 1 to 2 hours. Preheat grill to medium high heat. Remove the steak from the refrigerator, pat dry with clean paper towels, and sprinkle both sides with the Cajun seasoning. Oil grill rack (see how here). Grill steak about 5 minutes per side for medium-rare, 6 to 7 minutes per side for medium and 8 minutes per side for medium-well. 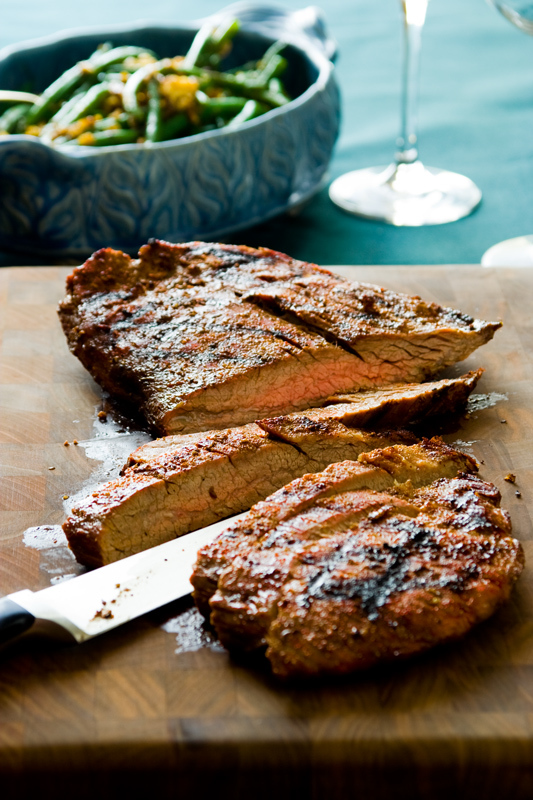 Remove the steak to a platter to rest for 5 minutes before slicing against the grain. I’d choose the three pack with the garam masala and the chili chocolate!! I would happily take any of them – they sound awesome! I’d love #3! Can’t get enough curry! Shepherd Mix, Hanout, Z’atar—I’m sure they are all good and perhaps will save me some trips to Healthy Living. Rasti this week was easy and delicious. I’m ready with my seasonings to make Coconut Curry Sweet Potatoes and Potato and Sausage stew. Thank you. I posted on Wall at FB HSR fan page. Definitely a very tough decision! But, since we are helping friends cook a special Indian dinner at The Country Girl Diner (Chester, VT) in early May and then hosting a Cinco de Mayo party the next day at our house, I think Pack #1 is the winner! All of these prize packs sound awesome, but I think I’d like #3 best! The first stack. Yum – I love garam masala and chocolate chili sounds like it would be great. And then French spices…well, it’s the best choice! Oh, they all sound good. I will pick #1. Awesome giveaway! Pffft…it’s so hard to choose! I think I have to go with pack #1. I have some recipes cooking up in my head already of how I could use them. I would love to try #2! Some tasty meals could be made! Oh yum! 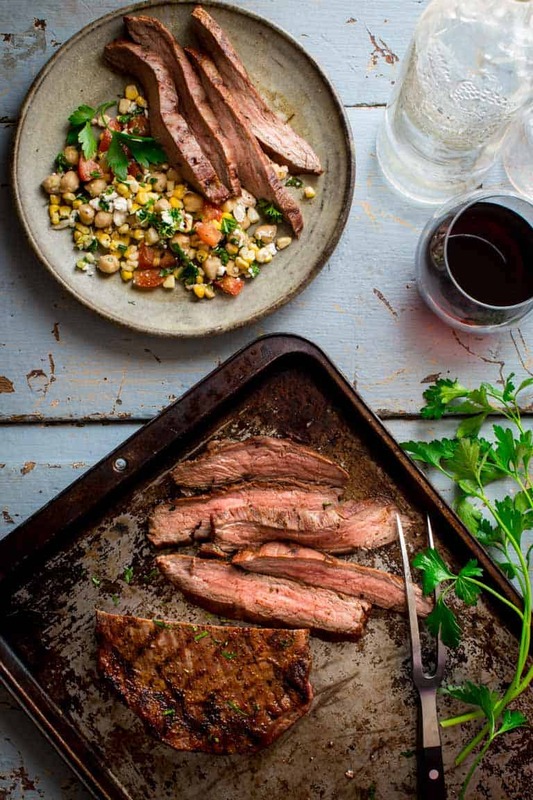 Flank steak is one of my favorites to cook. And I love using the salt trick 🙂 It does help the meat! That’s great Danielle. So glad you stopped by. Have a great day. We love putting Cajun steak in tacos. It’s the perfect summer meal. Oh we’ll have to try that. Tacos are always a hit around here. I agree .. grass fed beef is the best. Will be making your Cajun Flank Steak soon ! That’s great Linda! So many folks dislike the flavor. Glad you like it too. This sounds so flavorful! Perfect for summer! We love to grill at this time of year! Thank you so much for coming by Demeter. Cheers! 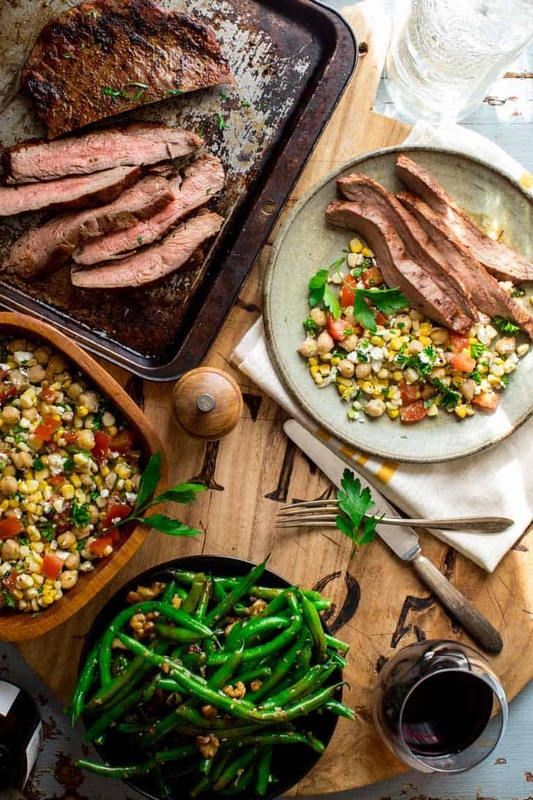 Can’t go wrong with cajun spices and that salad with the steak looks awesome! Thanks so much Nathan. Taking the picks with this salad from the archive was Stephanie’s idea, and I was so excited to fall back in love with it. What a fantastic tip about salting the steak for a few hours. I totally get the idea about creating a brine and soaking up the moisture. 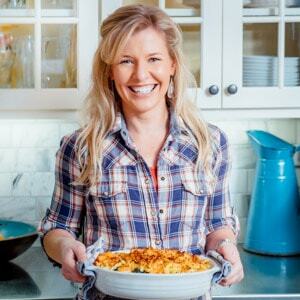 Have to try this out soon – this whole meal looks divine! It is amazing how something so simple really makes a big difference. I am sold on it too.